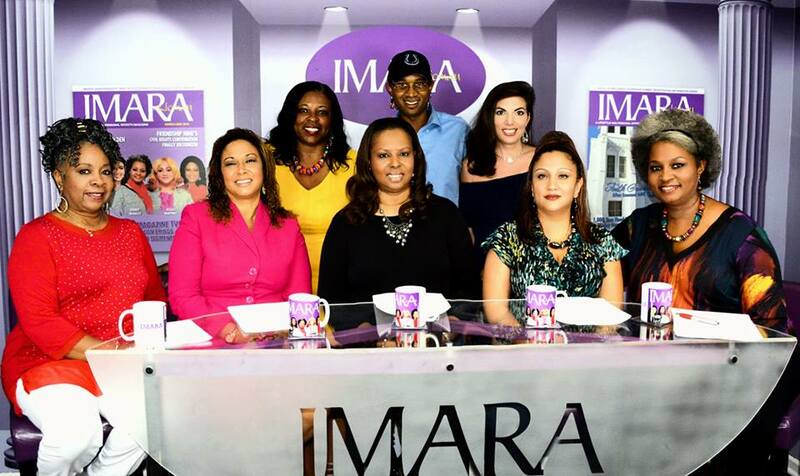 This week, we taped our last show of season 8 of The Imara Woman TV Show. I cannot tell you how much fun I have with these ladies on this show. We tackle very controversy topics at times, but we are always respectful of each other’s opinions. I am so grateful to the Executive Producer and Creator of the show, Wendy Brawley, for allowing me to be apart of such an incredible team and show. Now, I have to get ready to tape my Soulful Conversations Online Series due to launch in late October. You are going to love these powerful videos. Also, I will be sharing more information with you about my new National TV Talk Show which I will be taping 13 episodes in Atlanta very soon. Yes, I am excited because all of these opportunities give me a bigger platform to share my message of awakening to your truth, actualizing the power of self love and unleashing your greatest potential to shine in the world. And while I am excited, I am also a little sad. The truth is, it has always been your time. The path has always been open and clear for you. Oftentimes, we simply can’t see it for ourselves. As you know, I have been an entrepreneur for over 32 years. It has not always been easy, but when I would take a step back, get the help I needed and do the difficult things that made me feel uncomfortable, I would experience incredible wins and successes. Yet, every single time I tried to play it small and safe, remain in my comfort zone, do what I knew to do, instead of what I was being led to do, I would experience loss. It wasn’t until I finally told myself the truth. I awakened to the truth that I could not take myself to the top. I didn’t know what I didn’t know. And with my teeth chattering and my knees shaking, I took the risk. I hired my first coach years ago. It cost me more than I could afford and it stretched me wider than I had expected. This leap of faith paid off and put me on a new path to victory. Had I not taken this gigantic fearful step, I would still be working hard and not progressing to the level I knew I had the potential to reach. What about you? How are you playing small and allowing fear to hold you back? Are you not worth the risk? Of course you are. I know that you have dreams that you want to see fulfilled. I want to see your dreams fulfilled too. I want you to experience a level of joy and happiness in life that you’ve never had before. I so badly want to see you win. I know you can and deep down, so do you. As I celebrate my successes and wins, I am also celebrating yours. Because as you read this email, I can sense that you are being encouraged. You are now empowered and inspired to take that next step. That next step could be to pick up the phone can call someone who can help you. That next step could be to hire that coach you’ve been wanting to work with. It could be to take that training. Perhaps join a group of high level successful people who can show you the way. Or it could simply mean saying “Yes” to that opportunity that scares you. Whatever it is, I am confident that you will take that next step. I believe in you and I’m here to support you all the way. You can do it. Yes, you can. What’s your next step? Write it below in the comments.